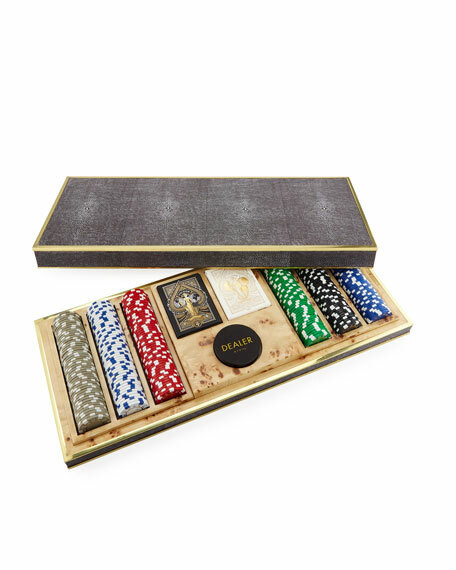 Handcrafted, stylish 300-piece poker set comes in a luxurious shagreen case, includes two decks of playing cards, along with an AERIN-embossed dealer button and poker chips, all stored neatly in partitioned columns. Designed by Renzo Romagnoli, whose Italian company has been crafting classic game sets since 1972. Embossed shagreen, brass hardware, and suede lining.